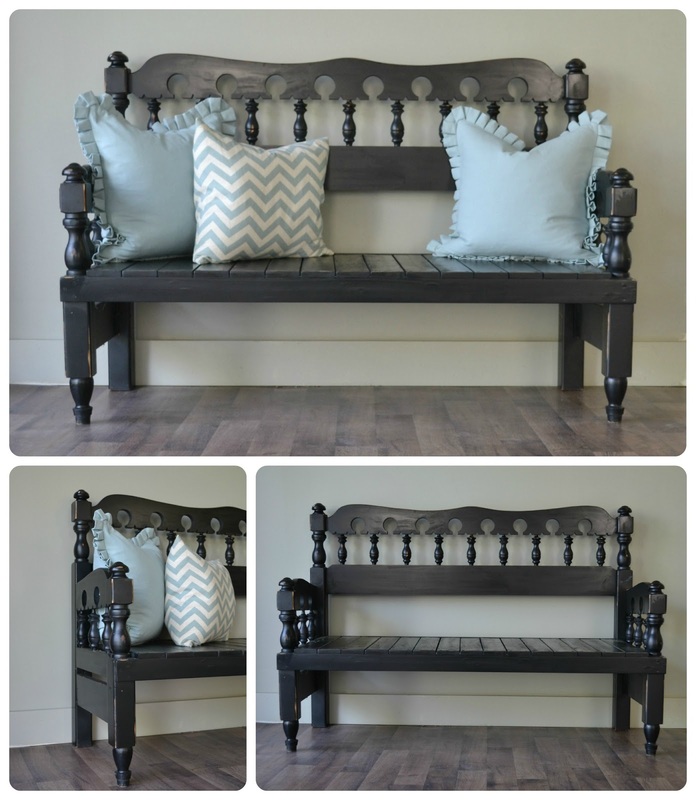 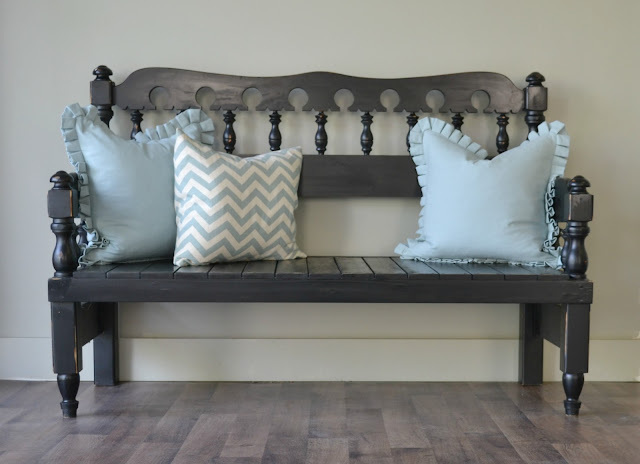 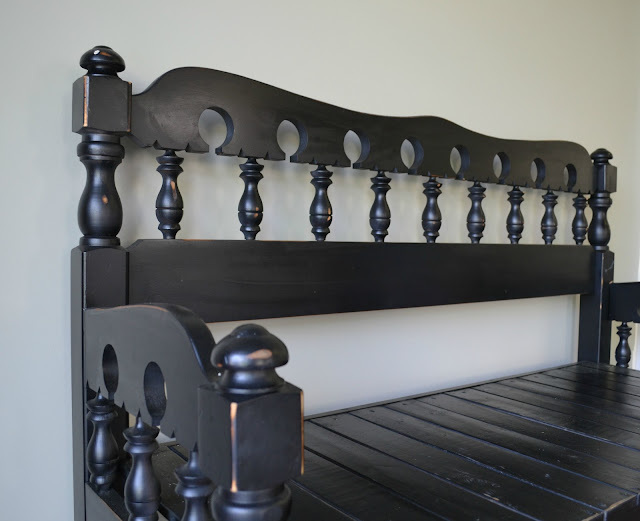 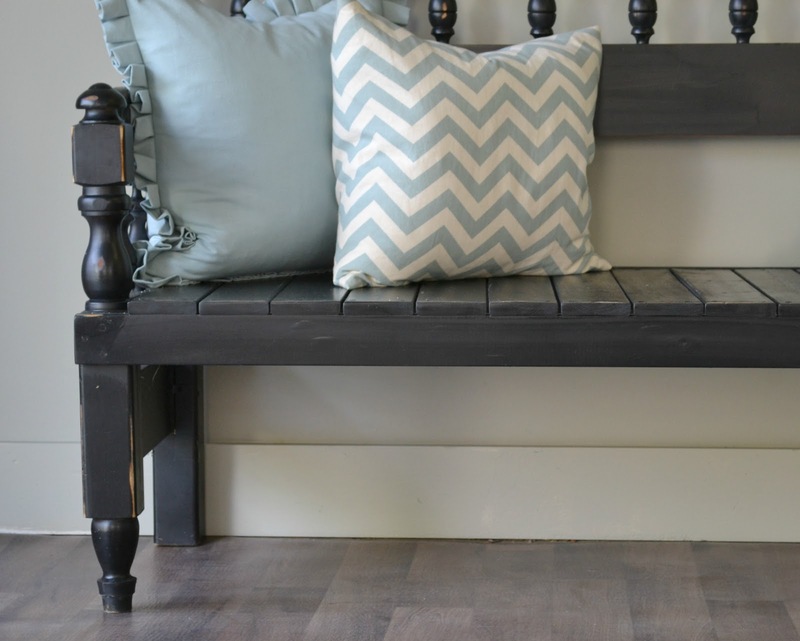 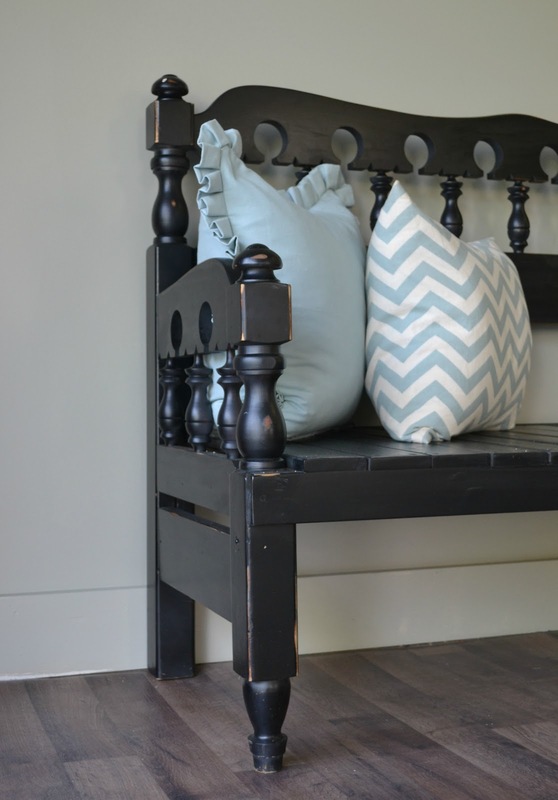 This bench was made from a headboard and footboard. 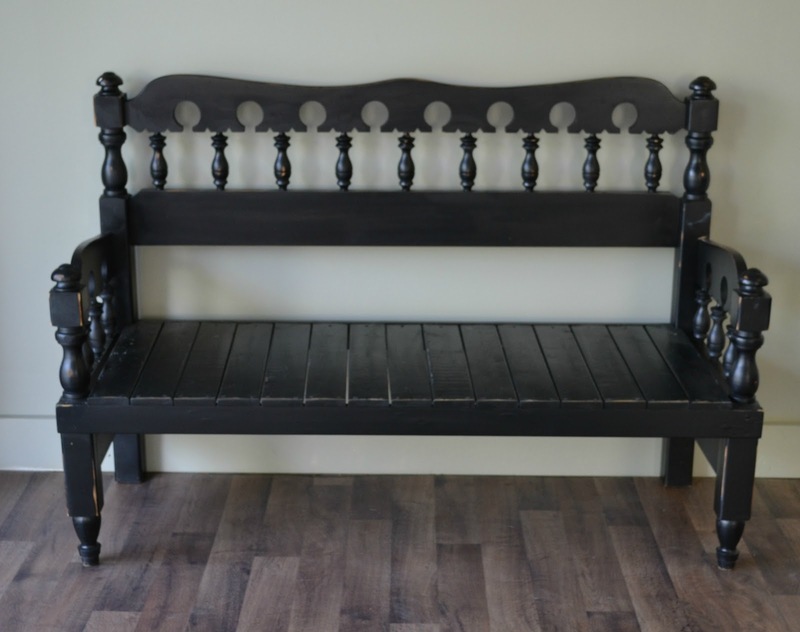 It is fairly large and a beautiful sturdy piece. 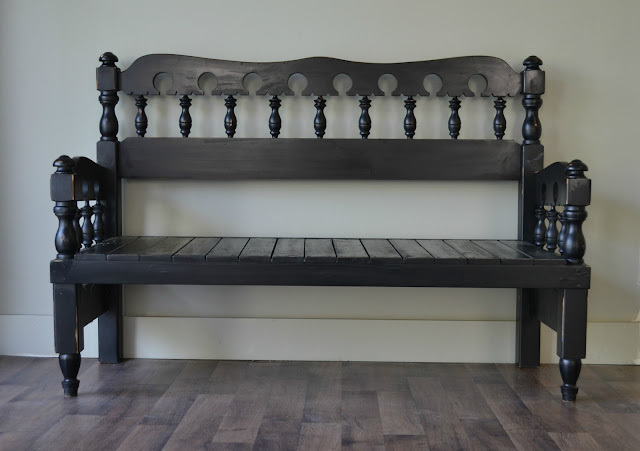 Measures 59" long x 40" tall.